The future of the Minneapolis Sick Leave Ordinance, which is scheduled to implement on July , 2017 is still waiting to be determined in court. Shortly after the ordinance was passed in mid 2016, the Minnesota Chamber of Commerce brought suit against the city for the ordinance. Under the ordinance, even companies outside the city limits could be liable for the new ruling. This is because any employee who works more than 80 hours a year inside city limits would not be legally granted sick leave. The Minnesota Chamber of Commerce challenged the ordinance in Minnesota state court. Several other individuals and businesses joined in the challenge. The basis of their arguments are twofold. First, that the ordinance overreaches past state law regarding sick leave laws and secondly, that it overreaches by forcing outside businesses to comply with the city’s ordinance. Does State Law Preempt Local Legislation? Although Minnesota doesn’t have a mandatory sick leave law, they do have a sick leave law. The state’s sick leave law requires that employers allow employees to take up to half their allotted sick leave to care for family members and for specific purposes. The Chamber of Commerce argues that this statewide law preempts the city’s sick leave law and that the city shouldn’t be allowed to create further legislation around sick leave. Essentially, creating local laws creates a situation where businesses may be compliant with state laws, but not compliant with local laws. On January 19th, a judge ruled that state law does not preempt a local ordinance from taking place and does not conflict with state law. Judge Dickstein refused to halt the upcoming effective date of the ordinance on July 1. The Chamber of Commerce is appealing the decision. Can Minneapolis create laws that oversee businesses outside of city limits? The second argument against the local sick leave ordinance is that the new law applies to any employee who works 80 hours or more in Minneapolis within a year. That breaks down to just 1 ½ hours a week. The Chamber pointed out that the law could now apply to businesses with no brick and mortar offices within the city and could apply to businesses located outside the city, state, and even country. 80 hours a week is a small threshold which could easily put delivery drivers, sales reps and others who only occasionally spend time within the city under the ordinance. The Chamber argues that it overreaches its bounds. The City argues that the new ordinance helps to prevent employees from feeling compelled to work while sick in Minneapolis. In this argument Judge Dickstein agreed with the Chamber and placed a temporary halt for the ordinance to apply to businesses outside of Minneapolis. As it stands today, only businesses located within Minneapolis will be held accountable under the new sick leave ordinance. Both parties have a limited amount of time to prepare more concise arguments. The court will hold a hearing on the merits of both arguments before July 1, 2017. Yet Minneapolis is not the first city to enact such a law. Local Cities across the USA are enacting laws that apply to any employee who spends time within a geographical boundary- regardless of where the business is located. Across Washington, Seattle, Tacoma, and SeaTac have all enacted similar ordinances. In California, although Los Angeles and Pasadena passes sick leave laws that applied to businesses within city limits, the Emeryville law applies to any employee working in city limits for 2 hours or more a week. 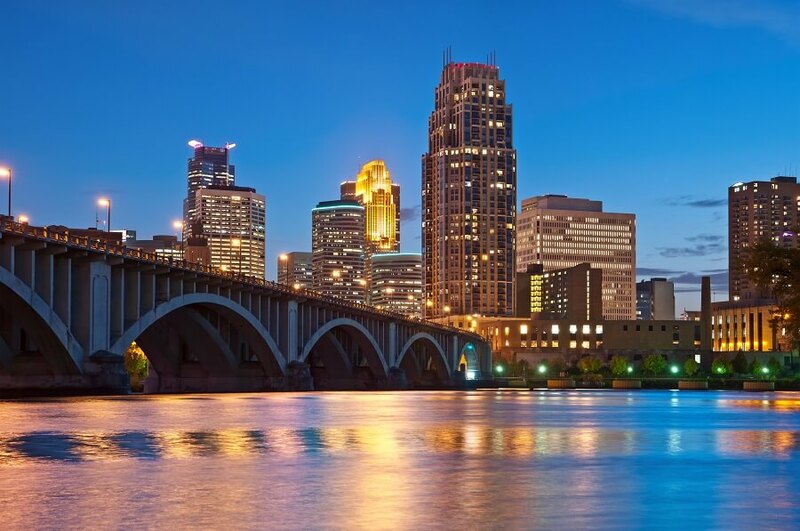 Across the river from Minneapolis, St Paul quickly followed suit and enacted a very similar law with the same 80 hour a week threshold for employee eligibility. St Paul’s ordinance is considered stronger, however, because it doesn’t exempt small businesses. Individuals employing a single employee are subject to the St Paul law. It is likely that the outcome of the Minneapolis ordinance in court will directly impact the St Paul ordinance as well. Several questions still remain after the split ruling. The judge hinted that the city may still be able to impose the ordinance on outside businesses if they can establish a sufficient nexus between the harm the Ordinance is attempting to prevent and its reach beyond city borders. The court criticized the ordinance because it “does not attempt to regulate only those companies whose employees work in Minneapolis full time or substantially full time, or two-thirds, or half-time, or even on a regular part-time basis.” This suggests that the Ordinance could become effective against outside businesses if the employees spend regular time within Minneapolis city limits. While the case proceeds in court, lobbyists at the state level are asking for a law to prevent local sick leave ordinances to be enacted in the legislature. If the law is enacted, it would preempt a court decision. If it is not passed, then the courts will decide the final outcome of the Minneapolis Ordinance. We will continue to keep you updated as new developments occur. Businesses across the country are finding themselves with the need to comply with local, state, and federal regulations concerning payroll, paid time off, and other labor laws. The need to maintain accurate records and properly pay employees is rising and fines and penalties increase with non-compliance. SwipeClock is a premier provider of timekeeping solutions and workforce management tools. Employers who do have to track employees time within certain geographical boundaries are relieved to have GEO-Time Clocks that automatically track when employees cross into city and county boundaries. Tools like these make managing and staying compliant with local ordinances a breeze and save businesses thousands a year in fines.